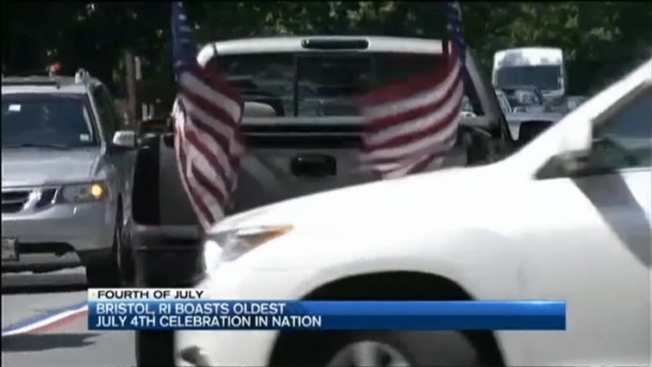 The 231st Military, Civic and Fireman's 4th of July parade will begin at 10:30 a.m.
Crews are wrapping up preparations for the oldest Fourth of July celebrations in the country in Bristol, Rhode Island. According to necn affiliate WJAR, the 231st Military, Civic and Fireman's 4th of July parade will begin at 10:30 a.m. at the corner of Chestnut and Hope Streets. Among the festivities there will be19 marching bands, 18 floats as well as some promised new attractions. Parade organizers say an estimated 100,000 people will attend the celebrations. They recommend arriving early and bringing water.